If you’re a fan of Irish folklore and the colour green, Pots of Luck can provide the perfect atmosphere for your online gambling experience. Out of all casino sites in the UK, this has to be the one with the highest number of green pixels. Under the guidance of Seamus the leprechaun, the site’s mascot, players can explore a vast array of Irish-themed slot and table games, as well as classic staples of the industry like Starburst and Thunderstruck II. We decided to write a Pots of Luck review in order to cover the basic features of their online casino and get you acquainted with the ins and outs of this Nektan’s affiliate. While the desktop version is not the most aesthetically pleasing, the site’s interface is functional and responsive. The page is easy to navigate and the live chat button for customer support is always present. The casino’s roster is provided by Pragmatic Play, IGT, Big Time Gaming, and Yggdrasil, to name a few, featuring some of the most popular Pots of Luck slot games, including Thunderstruck II and Starburst, with the customers getting free spins in the latter as its welcome bonus. Also, you can find a decent selection of table casino games. The bonuses on offer are a bit lacklustre, however, the casino’s more than hefty welcome offer makes up for it by including a generous amount of free spins on Starburst for the first three deposits over £10. The experience with the customer support on the site was nothing but pleasant, as our live chat inquiry was responded to swiftly, professionally, and civilly. Other than the live chat, their customer support can also be reached via email and telephone. Pots of Luck casino accepts deposits in EUR and GBP via VISA, Skrill, NETeller, Trustly, and Paysafe. The deposits are processed right away, but the withdrawals can be delayed for up to 72 hours. The good news is – there are no fees for transferring funds on or off your account. Safety-wise, this casino offers their customers protection of information via the SLS protocol and they also require ID verification for withdrawal of funds. The site is licensed under the UK Gambling Commission and the Gibraltar Government. Although the bonuses on Potsofluck are somewhat scarce are most of them are limited to a certain period of time, they are pretty generous, to begin with. The welcome offer is quite fetching – the casino will match your first deposit pound-for-pound for all deposits up to £100, with a minimum requirement of a £10 deposit. The second deposit will be matched twice for amounts up to £50, while the third will be matched 50% for deposits up to £400. Bonus funds do not apply to some slot games, including Dracula, Guns ‘N' Roses, and Divine Fortune. The first three deposits also entitle the player to participate in the Pots of Luck free spins offer, which grants free spins on Starburst. Players are awarded 100 free spins on their first deposit of £10 or above, then £50, and £25 for the second and third deposit respectively. If you choose to take part in the welcome bonus, note that you will have to wager 30 times the bonus amount to be able to withdraw the awarded funds. This doesn’t mean that you have to win or lose this amount, but only that you have to bet it while playing the game. You should also remember that Blackjack and Roulette games do not contribute to the wagering amount and that you have 28 days to use the awarded funds before they become void. Another interesting bonus we would like to single out in our Pots of Luck review is that the players who make the biggest win on a single spin are awarded a €50 prize every Wednesday. There are also 3-4 other limited-time-only offers which keep rotating monthly, but make sure to check in from time to time to see new deals that are on offer. VIP upgrade is offered to the most loyal customers, which is not uncommon on the sites like Pots of Luck. The casino will contact you when they deem you have earned a place in the club, but you can get in touch with the Pots of Luck staff yourself if you think you’ve deserved it. This upgrade grants you benefits like a VIP welcome bonus, enhanced promotional offers, anniversary bonuses, and a lot more. There are over 280 games to choose from, loosely organized into five categories: Player’s Favourites, New Games, Seamus’ Picks, Casino Games, and Irish Games. The categories are located on the top of the site and are easily accessible. One of the distinguishing features is that players can test out most of the games for free by using the Pots of Luck casino no deposit offer. This option can be accessed by clicking Demo on the game button, which becomes available when you mouse over it. If you are a fan of table games like Blackjack and Roulette, you will find several live variants of the classic games in the Casino Games section of the site. They feature a stream of the dealer which works seamlessly and without lag, and we encountered no problems while testing this feature out. The Irish Games section contains the Irish themed games which can boost your luck significantly. Whatever you believe, the abundance of four-leaf clovers can’t be harmful, so if you don’t mind, we would like to recommend you the Leprechauns Song game and wish you good luck! The top of the page is reserved for the Pots of Luck login and deposit buttons, as well as the account balance display which shows how much deposited and bonus funds you have got available. The interface is quite responsive and the site loads without any hiccups. However, the border images on the desktop version of the site are somewhat tacky and in low quality, which weakens the overall look and feel of the site. Fortunately, the images don’t load on the mobile version of the site, which helps it to run smoothly; plus, the games have a full-screen option that also works fine. The games run well and we encountered no problems while trying them out. There is no downloadable app for mobile devices, which might be a minus in comparison with other sites’ offer, but the site provides a mobile version that is well-optimised. Players from the UK can deposit funds using VISA, Skrill, NETeller, Trustly, and Paysafe, and the bonuses and promotions can be accessed by any payment method. Players can deposit funds in EUR and GBP with the minimum deposit being €10 and the maximum €10,000, while the minimum amount a customer can withdraw is £10. The deposits are instantaneous, but the withdrawals can be held up for a period of up to 72 hours. Also, there are no fees, neither for withdrawing nor depositing funds. When registering an account on Pots of Luck casino, the customer will have to provide the standard information: name, address, telephone number, etc. The registration is considered full when the player makes their first deposit on the site. However, even though you don’t need to upload any ID while setting up your account, withdrawing funds will require that you prove your identity. 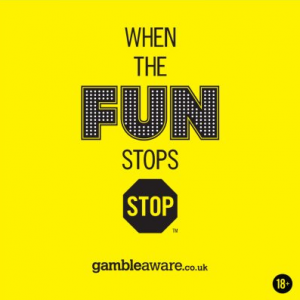 Keep in mind that information safety is always a top priority while gambling online. While playing on this site, the security of your information is guaranteed by the SSL protocol, which is always a big plus. The casino is licensed under both the UK Gambling Commission and the Gibraltar Government, which guarantees its legitimacy. Due to the country restrictions, you can play on Pots of Luck casino from the UK, Ireland, Germany, Sweden, Canada, Australia, and Norway, with the site being available in the English, German, Swedish, and Norwegian language. The fairness of the random number generator (RNG) is guaranteed by the NMI testing facility, which is one of the most reputable third party RNG auditing companies in the world. In our opinion, this is one of the most important features a gambling site can have and it is shared by all Pots of Luck sister sites under the Nektan flag. For a small percentage of people, gambling can transform from a benign pastime to a dangerous obsession. For that reason, on the top of the page on Pots of Luck casino, there is a Play Responsibly section where, among general guidelines on recognising a gambling problem, you can find instructions on how to enable the Reality Check option. This Option sends reminders to the players while they are playing, informing them of the accumulated time in the given session and asking whether they would like to continue with the game. The frequency of the reminders is determined by the player. While writing our Pots of Luck review, we grew fond of the Irish folk theme and green tint which painted our time on the site, while Seamus and his team persuaded us to stay with their enticing offers. The conditions are fair, the site is responsive, the customer support is polite, and we encountered no bumps in our time playing. The lack of diversity in the games is a downside, but the huge amounts of Starburst, maybe our favourite slot game, along with the free spins hooked us in. Pots of Luck do offer enough to interest anyone, so go ahead and have a whack at catching the leprechaun and grab his treasure!